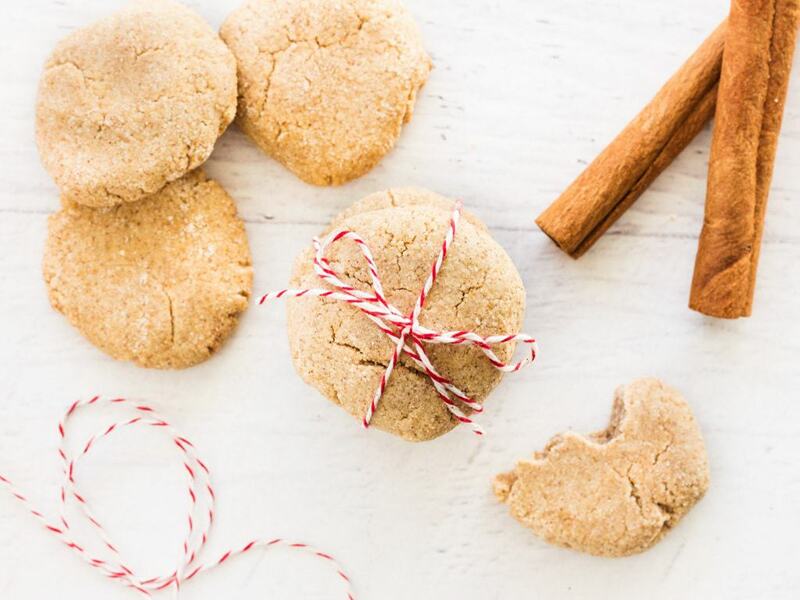 Snickerdoodle cinnamon dog treats are gluten free homemade biscuits for your fur baby! 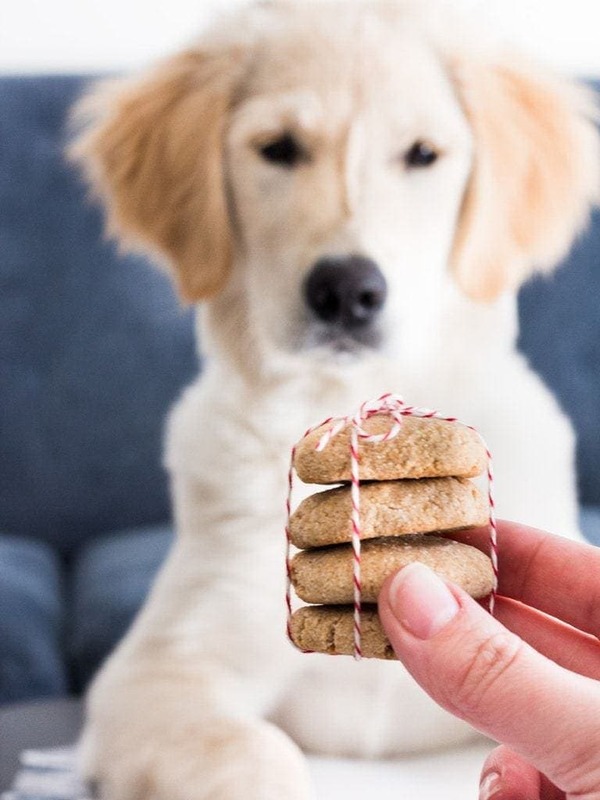 The easy recipe makes plenty of yummy treats for your pup. Hudson is back! My golden retriever puppy is now four months old and still begging for more homemade treats. This time around I made snickerdoodle cinnamon dog treats. I now have to make a lot of snickerdoodle cinnamon dog treats because Hudson is still in training. Thankfully the recipe is super easy to follow and makes over 40 treats! This recipe calls for brown rice flour, cinnamon, egg, honey, vanilla and water. That’s it! Simply mix the ingredients together, roll the dough into balls and bake. Many of my readers probably know that gluten free is not my forte when it comes to baking. I use all purpose flour in all my baking, but when it comes to Hudson, I have opted for a gluten-free recipe. This dog is so spoiled. 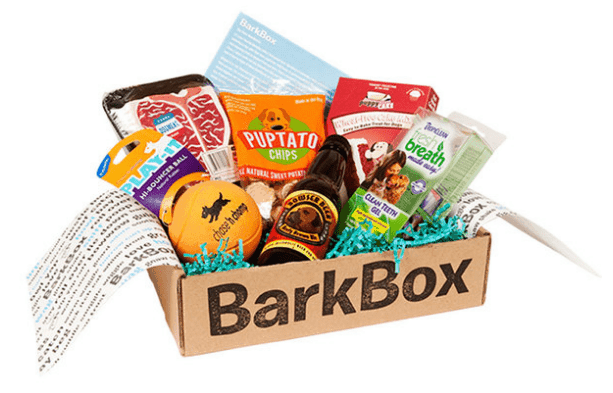 I chose gluten free for dog treats because it makes a difference in their digestion. Hudson has a sensitive puppy tummy, so until he’s full-grown and can digest food more easily, he’s getting gluten free treats! This recipe also calls for honey. 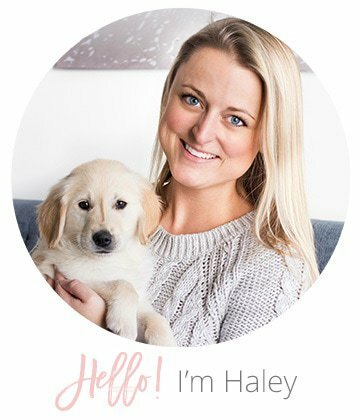 Avoid raw honey (especially for puppies) and use the kind from the honey bear. I kept the sugar content low and used only 1/4 cup for the dog treats. It adds the perfect amount of sweetness! As you can see, Hudson is a big fan of the snickerdoodle cinnamon dog treats. I guess he takes after his mom and simply loves anything sweet! 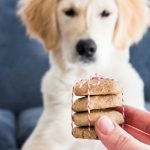 Snickerdoodle cinnamon dog treats are little indulgences for your fur baby! In the bowl of a stand mixer (or using a hand mixer), combine all the ingredients until dough comes together. If the dough is too crumbly, add more water one tablespoon at a time until moist enough. Scoop about a tablespoon of dough and roll into a ball (about 1-inch in diameter). Place on prepared cookie sheet and flatten with the palm of your hand until about 1/2-inch thick. Bake for 18 to 20 minutes or until the treats are golden brown. Let treats cool completely. Store in an airtight container at room temperature. These are homemade treats without preservatives. They will not last as long as store-bought treats. 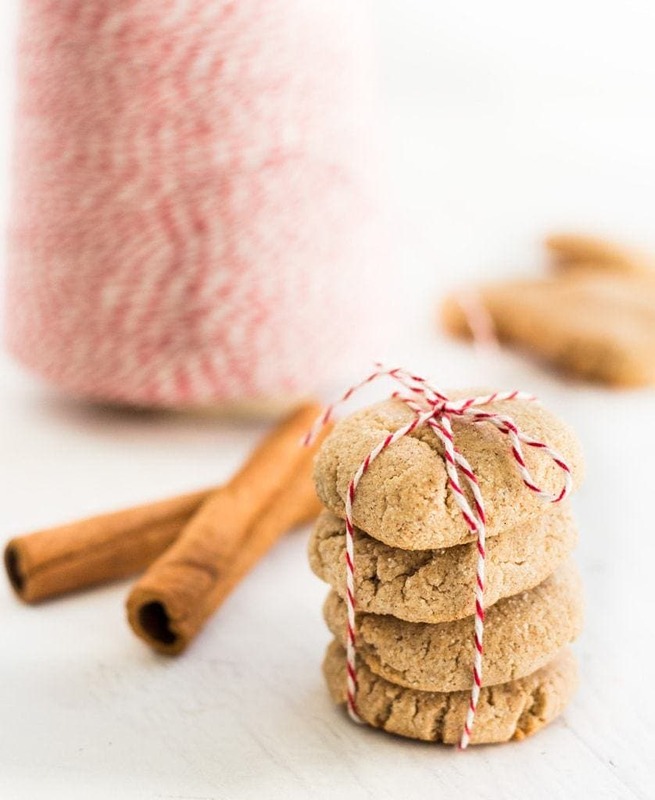 Snickerdoodle cinnamon dog treats will last about 2 to 3 weeks. Inspired by Bubba Rose Biscuit Company.